Finally, if you want the 3 ‘planet’ gears to sit at 120 degrees from each other, then both your sun gear and ring gear need to be evenly divisible by the number of planets. Follow these constraints and you are golden! All line widths in the svg file are set to 0.01mm. Depending on your vector graphics editor the svg file may appear blank when you first open it. You will need to switch to outline mode to see anything. In Inkscape this is done by clicking View > Display Mode > Outline. 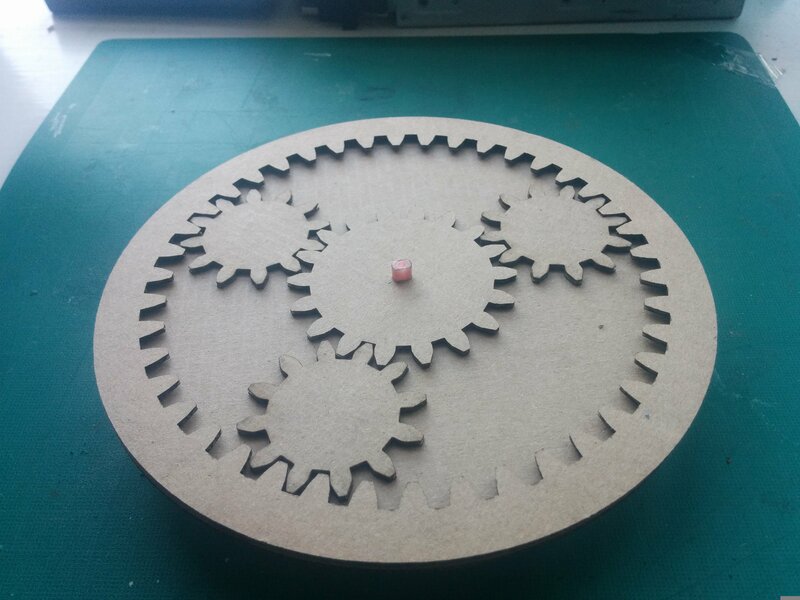 This entry was posted in how to, Inkscape, laser cutter, Projects and tagged Inkscape, laser cutter, planetary gear, svg. Bookmark the permalink. I could sit and watch that all day! I’m working on a two stage version atm – it’ll be at least twice as hypnotic! 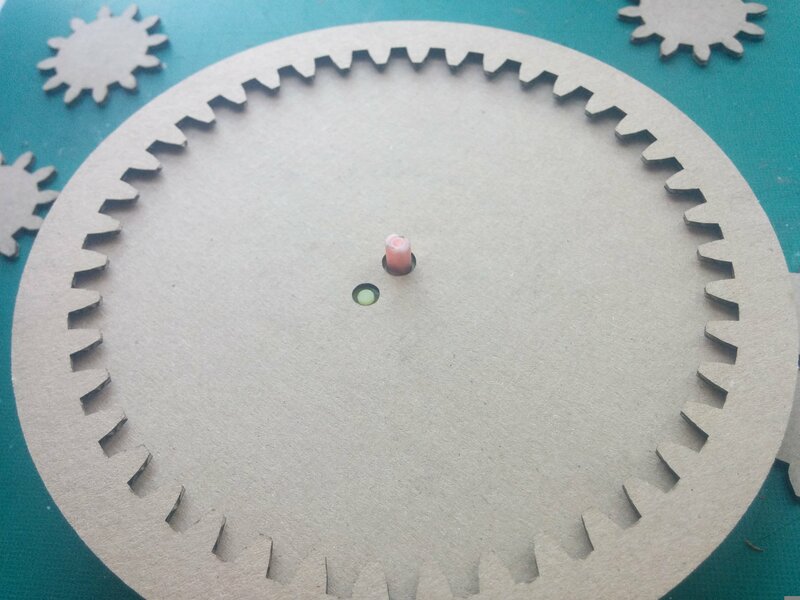 Just stumbled across this while looking to design a planetary gear myself, and it looks fantastic! I was just wondering if you ever put up anything about how you made the ring gear in Inkscape? 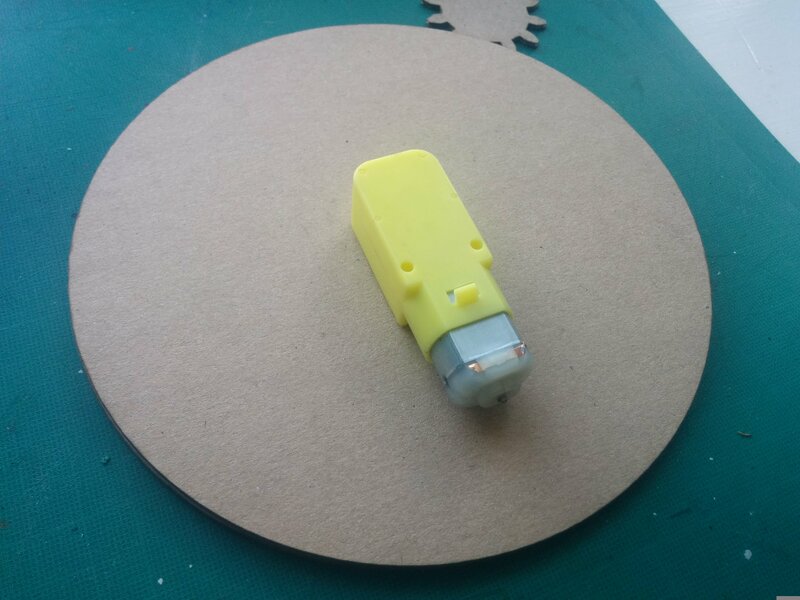 I’ve not found anything about how to make that part around, so any help would be massively appreciated. It’s been quite a while since I did it so I’m a bit rusty on the exact steps. 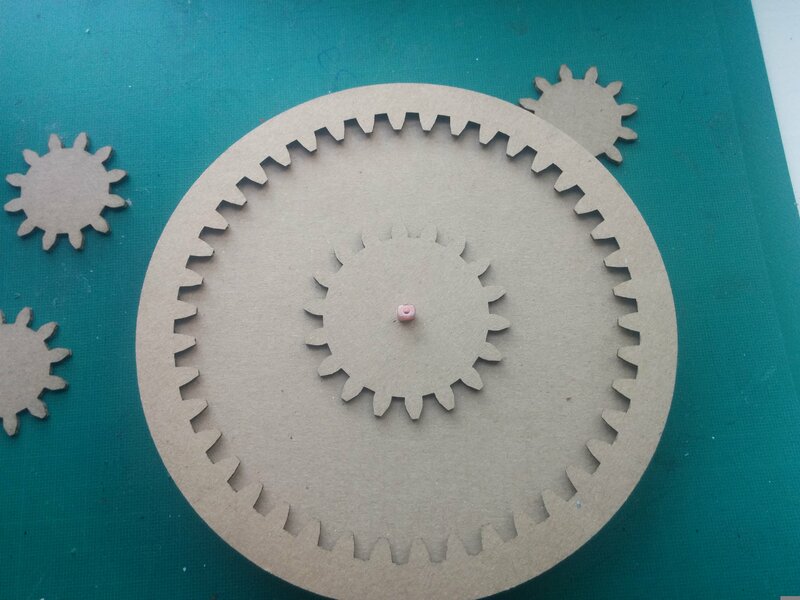 I remember using the built in gear generator extension in inkscape to make the planet and sun gears. For the ring gear it was a bit more complicated, I think I used the gear extension to make the ring gear and then I somehow inverted it so the teeth were facing inwards. I’ll try to do it again this evening and if I get it working I’ll make a post about it. If can save the designs in SVG which can then be imported into Inkscape, but I’ve not idea how well they mesh in reality! Just a quick note to say thanks again for the video! I just watched it and it’s very clear. So clear in fact I feel a touch silly about needing to ask! No worries, meant to make that video months ago you just reminded me 🙂 Thanks for that link to the gear generator program…..can see it coming in handy!